UFC middleweight champion Robert Whittaker recently shared his belief that, between Kelvin Gastelum and Israel Adesanya, who battle for the interim belt at UFC 236, Adesanya the easier matchup. Speaking on a recent edition of The MMA Hour, Israel Adesanya made a similar comment, explaining that he considers Whittaker a tougher fight than Gastelum. “He is very improved, from being an Ultimate Fighter champion to where he is now,” Adesanya said of his next opponent Gastelum. “His style is very Mexican. You have the Mexican style of boxing and he has a Mexican style of MMA. “It’s a smart Mexican style, he doesn’t just brawl or looks for wars. He is calculated with the way he approaches the game,” he continued. “But, they haven’t fought anyone like me, they haven’t seen anyone like me. It’s the same rhetoric, but, when I say it’s just not talk or reading from a statement. I am speaking it because it is fact. 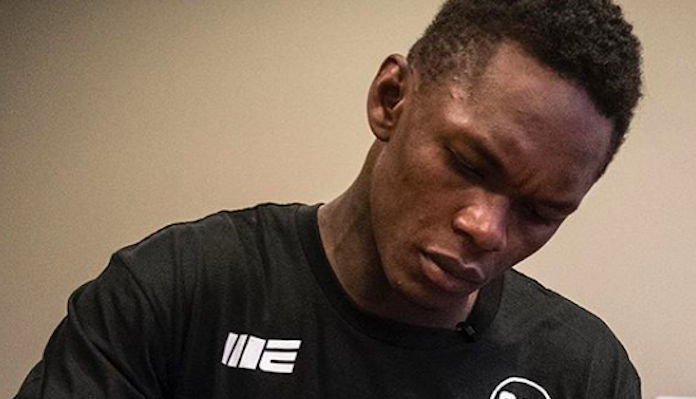 Whatever the case, Israel Adesanya has ambitions to topple both Gastelum and Whittaker. If he collects a couple of UFC belts along the way, that will be a nice bonus, but that is certainly not his priority. What do you think the future hold for the surging middleweight contender Israel Adesanya?